We spent yesterday morning closing up the house in AZ, something that always makes me a little sad. I’m not sure exactly why, because I’m very excited to be going back to Denver for the summer and fall. There is no place nicer in the summer months. There is just something so sad about seeing our patio with no furniture and all of the blinds closed and the doors locked up. Closing up involves thinking about what won’t survive the hot house over the summer months. That’s why there are dish washing pods and Downy fabric softener in my refrigerator, right next to the ink from Bill’s printer. We turn off the air conditioner altogether, so it is likely the house gets in the neighborhood of 95 to 100 on occasion during the summer months. The other day I bought a bra. I didn’t go out to look specifically for a bra, but found one that I have owned before and liked, so on a whim, I bought it. I noticed the name as I was paying for the bra – Blissful Moments by Warner. It occurred to me that I can’t ever say I have a single, solitary blissful moment any time of the day when I’m wearing any bra. They are hot; they ride up; the straps pinch my shoulders. Perhaps I’m buying the wrong bra, but I never feel blissful. The happiest time of my day is when I take off my Blissful Moment and put on my Even More Blissful Moment – my pajamas. I don’t know why, but we often meet interesting people while standing in one line or another at the airport. We recently met a woman by the name of Betty, with whom we had a discussion about baseball. It turns out Betty – who is in the neighborhood of 75 or 80 years old – is a baseball fan. She was telling us that Coors Field – home of the Colorado Rockies — provides a number of inexpensive tickets for each home game in a certain section for seniors who want to attend a home Rockies game. Betty told us a group of folks from her senior housing facility attends three or four ball games each year. They call themselves the Senior Sluggers. That made me happy. I find as I am getting older, I am getting crabbier. Don’t get me wrong; I have always been crabby. I am just crabbier about stupider things. For example, I heartily dislike when people on cooking shows “cheer” bites of food. No. Stop it. You cheer drinks. You say things like Cheers, or Salut, or Chin Chin while you tink your glasses. You don’t cheer bites of pork chop or pieces of coconut cream pie. Just don’t. The other unreasonable annoyance in my life is the prevalence of hugging people you barely know, or don’t know at all. Perhaps it is my mother coming out in me. She was never a hugger. I, on the other hand, happily hug people I know and love. I don’t want to hug people I have just met. See? Crabby. I keep making allusions to it, but this morning Bill and I will attend the continuation of our grandson Alastair, who will be moving to middle school next fall. When my daughter-in-law sent me the kids’ upcoming calendar of events and I spotted that one, I nearly had a heart attack. I’m not entirely sure why. I have watched him grow up. He is tall and strong and smart and very grown up. But seeing the word continuation as it relates to Alastair just knocked me upside the head. Say it ain’t so. Next thing I know, he will be graduating from high school. And all of this means, of course, that Addie is an eighth-grader. And all of the grandkids are growing up. Argh. Well, my dear, I suspect you might be suffering from “Puberpause”. That’s when you are going through puberty and menopause at the same time. I’ll pray for you…….. I appreciate the sprig of hope, but I left both the puberty train and the menopause train behind me a long, long time ago. 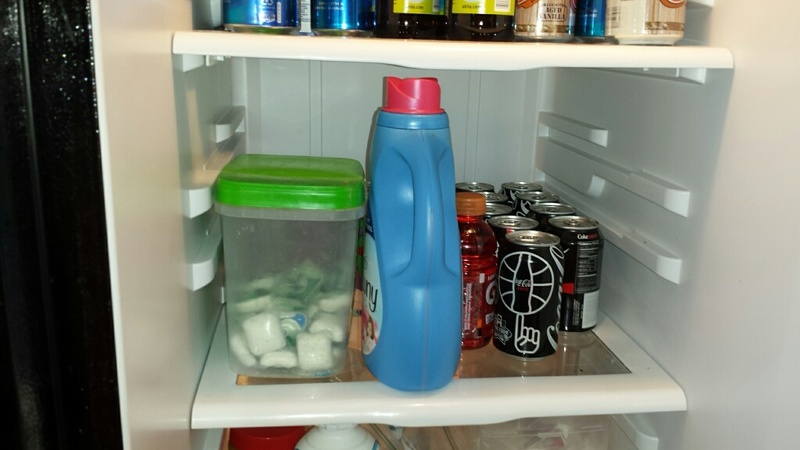 Clever putting the stuff the in the frig over the summer. Probably a good tip for many. I dislike it when people I don’t know or barely know touch me (like my arm)- let alone hug me. I guess I can officially join your crabby group. However…it used to be called staying out of my personal space! I learned my lesson about the dishwasher pods the first year when we came back and I had one big pod. They had all melted together. I’m with you my friend. I’m never happier than when I get into my pjs in the evening.